The default text size used by Terminal app in OS X can be quite small if you’re using a large resolution display. While you can change the font to be better suit your preferences, and increasing the line spacing helps reading too, another simple solution to boost readability is to simply increase the text size shown on screen while visiting the command line. 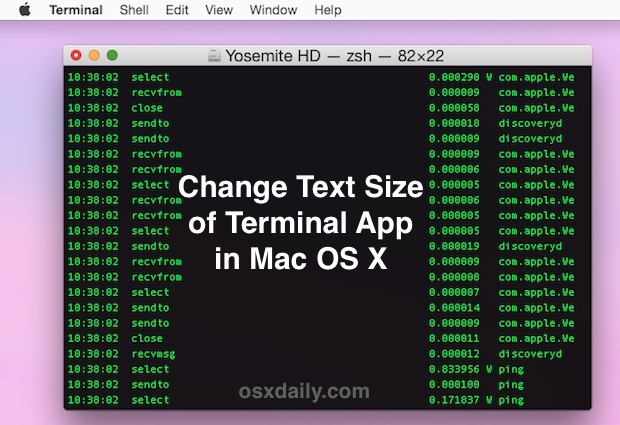 The simplest and quickest way to increase (or decrease) the text size shown for Terminal app is using keystrokes with the Command and Plus or Minus keys. This will adjust the size of the display font for the currently active terminal session, but it does not change the default font size for new terminal windows or sessions, making this more of a quick solution for when you need to increase readability. Just hit Command and the Plus (+) key to increase the font size shown by one size. Hit the keystroke a few times to increase the text size notably. As Command+Plus increase the font size, Command+Minus will decrease it. Thus, if you want to go smaller for whatever reason, or you made the text size too big with the prior keystroke, hit Command+Minus (-) key to reduce it. Not thrilled with the newly changed font size? 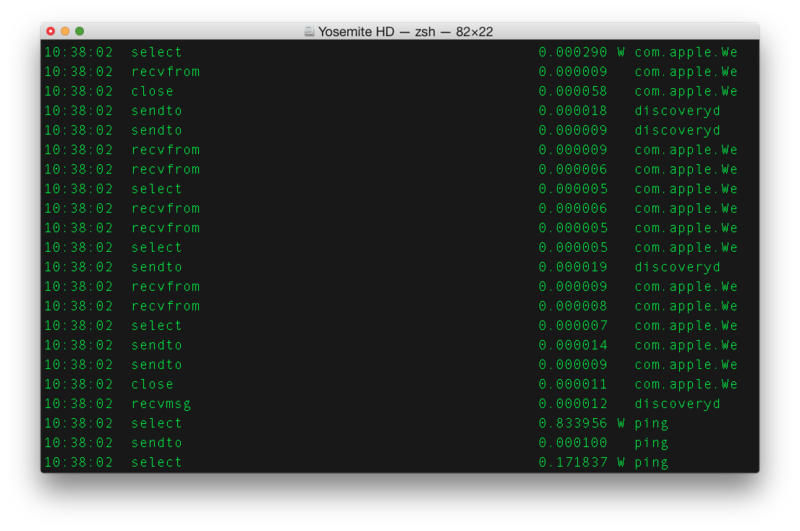 You can instantly return to the active Terminal profiles default text size by hitting Command+Zero. If these command keyboard shortcuts sound familiar to you, it’s likely because you may have used them before for the same font size changes in browsers like Safari, Chrome, TextEdit, and many other apps. Much like the instant Preferences shortcut, this is not quite universal, but so many apps use the Command+ and Command- trick to adjust the visible fonts that it’s nearly universal for performing that function. 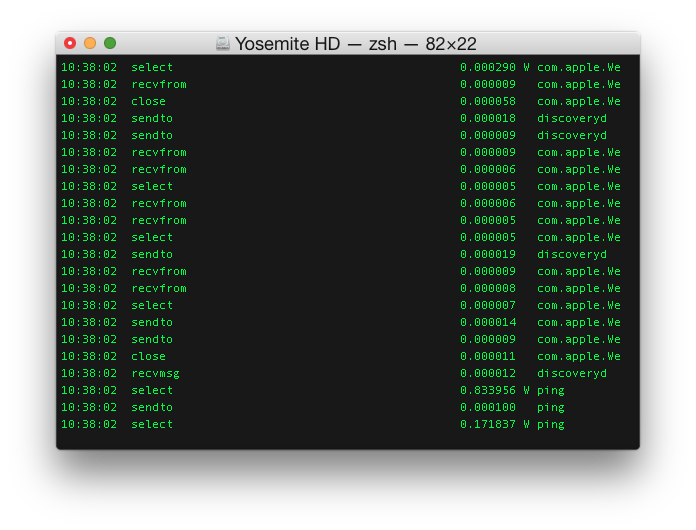 As we mentioned, this is a session based approach to adjusting terminal text size, which can make viewing command line details significantly easier to read. If you want to change the displayed text size permanently, you’d need to adjust the Font itself, which also offers precise controls for font size, font family, and font weight. 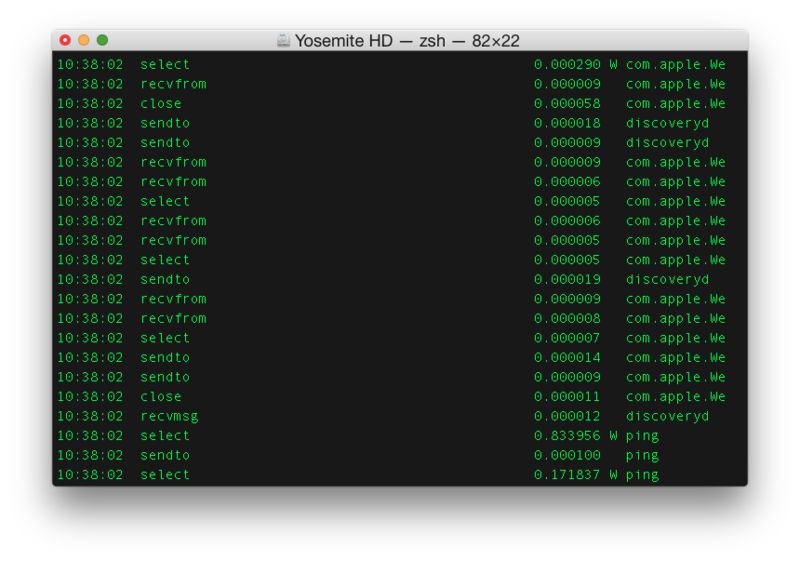 If you’re doing this to make the command line look a bit more attractive, keep in mind there are plenty of other ways to improve the appearance of Terminal app and make it more readable too. This works with all apps on Mac. A very basic. I would think most users already know this. I didn’t know you could change Terminal font size with keystrokes, but I also don’t study every menu option meticulously like you obviously do, Sir Duke of Dillon the Brilliant. You are an expert and a scholar at leaving irrelevant and useless comments, surely you have this level of commitment to the command line. Tell us more about your amazing Terminal knowledge, will you? I can’t wait! The font size changes via Preferences are not persistent. You can change, e.g Basic Terminal fonts size from 14 to 18, but after you restart Terminal app, the setting with return to 14. I have not found a way to save this, yet!